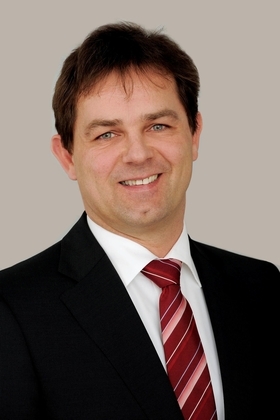 Juergen Holeksa has been HR director of automotive climate-control specialist Behr Group since 2007. ZF Friedrichshafen AG has named Juergen Holeksa as its new executive vice president for human resources, effective July 1. Holeksa, 45, moves to ZF from German supplier Behr Group, where he was director of human resources. He replaces Konstantin Sauer, executive vice president for finance, who has been filling the post on a temporary basis. Holeksa, a native of Germany's Lower Rhine region, has a deep background in steel- and auto-industry personnel management. Following studies in economics at Gerhard Mercator University in Duisburg, where he specialized in human resources and corporate governance, he began his working career as a trainee at Thyssen AG in Duesseldorf. In 1997, he began working as a personnel officer at British Steel PLC in Duesseldorf, where he was put in charge of HR for the German distribution companies following the merger of British Steel and Hoogevens of the Netherlands. In October 2000, Holeksa became group HR director for SAS Autosystemtechnik Verwaltungs GmbH in Karsruhe, a joint venture of Siemens VDO and Faurecia of France. Seven years later, in July 2007, he was named HR director of Behr Group, a major supplier of automotive climate-control and engine-cooling systems. ZF CEO Hans-Georg Haerter called Holeksa "the ideal candidate" for his new post. "Along with his profound knowledge in the areas of economics and human resources management, and his breadth of professional experience, Juergen brings industry-specific knowledge from the automotive supplier business," Haerter said in a statement. "This makes him the ideal candidate." Holeksa is married with three children.